Nepal's former PM Prachanda has war crime case in FBI; will not face arrest though - Integration Through Media ....! Purushottam Dhakal, LOS ANGELES: Nepal’s former prime minister Pushpa Kamal Dahal ‘Prachanda’, who is travelling to the US apparently to absolve himself of war crime allegation going back to the Maoist insurgency era in Nepal by appearing in the White House, is facing war crime allegations, with a case registered against him a Federal Bureau of Investigation, (FBI). Flip side of the issue however is he may not face any arrest in the US whatsoever. Prachanda is arriving in the US with the announced mission to seek medical attention for his wife Sita Dahal while the real mission is to seek clean chit on the allegation of gross human rights violation he allegedly perpetration during the protracted Maoist insurgency in Nepal which ended only after the abolition of monarchy in Nepal in 2006. 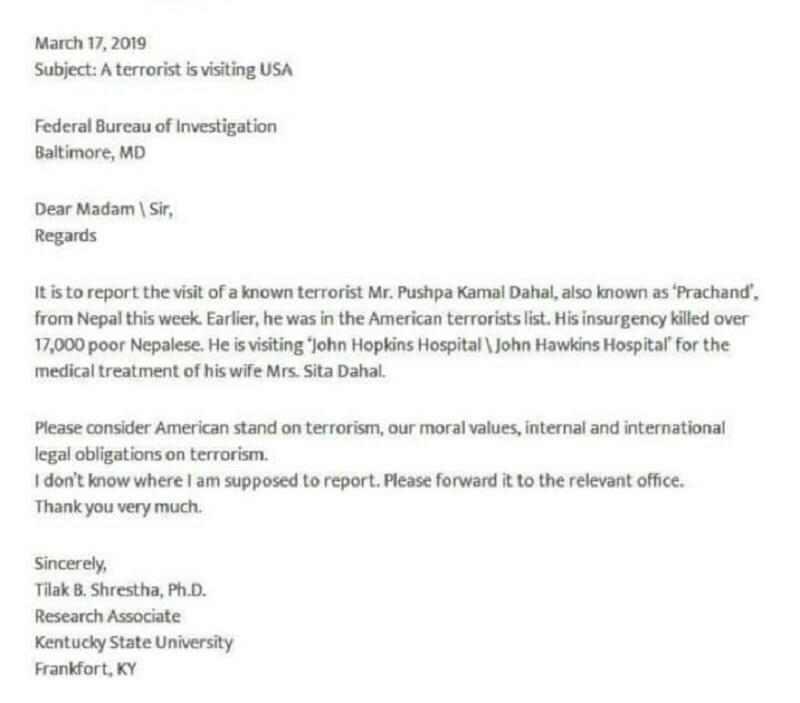 The case has been filed by Dr Tilak Shrestha who is associated with Kentucky State University. He has presented a case that demands Prachanda who led the violent insurgency was a terrorist and should be treated as such. Prachanda was at one point of time on the terrorist list of the US following his involvement in insurgency that ended only after the death of over 17000 civilians and security personnel. 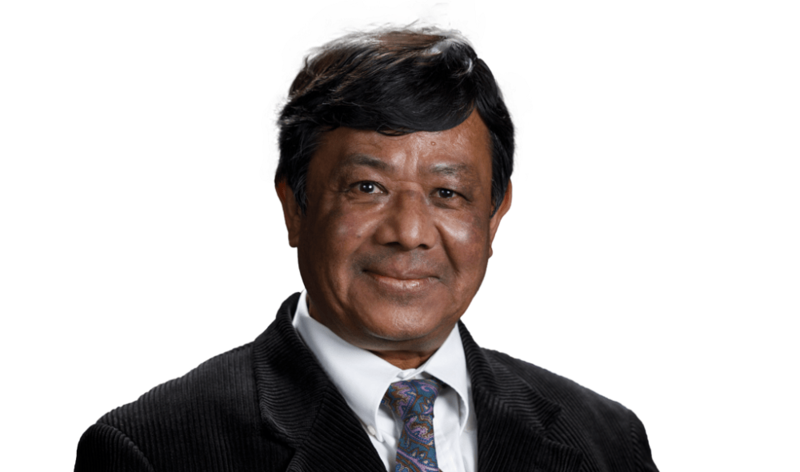 Shrestha who is a Nepalese student and is research associate with Kentucky State University was earlier associated with North Alabama Center for Educational Excellence. 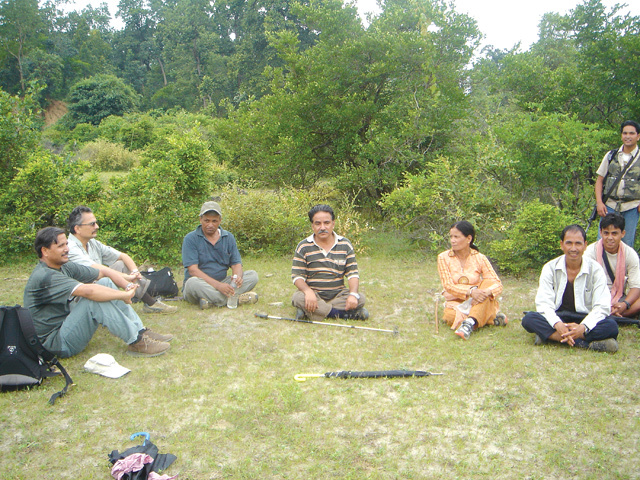 Someone who attended Padmodaya High School in Kathmandu has completed Pd D and currently stays at Huntville, Alabama. It may be recalled that Prachanda had gone on to involve himself in row related to Venezuela falling in bad light with the US and was rescued from any further trouble only after US ambassador to Nepal Randi Berry intervened in his favor before finally getting to travel to the US and thus seek clearance from was crime allegation from the US administration. It may be further said that Prachanda who has accepted the moral responsibility for killing of over 17 thousands beginning with a school teacher Mukti Nath Adhikari and his own butler Yan Prasad Gautam — who used to arrange liquor and women — has sat on the urgency to probe the disappearances going back to the conflict era as part of truth and reconciliation bid something which has long been demanded. It may be further said that British government had arrested and charged Colonel Kumar Lama of the Nepalese army while on a visit to London and initiated a court case against related to war crimes.